After another flurry of games in Round 4, only one player managed to lead his team to victory in a more efficient way than the others. This week it was none other than FoxTown Cantu's Joe Ragland, who racked up an index rating of 36, the most among players in winning teams. Ragland scored 19 points, pulled 6 boards, dished 7 assists, had 3 steals and drew 4 fouls for an index rating of 36 and to lead his team to a 88-73 home win over CEZ Basketball Nymburk. Ragland became the second FoxTown Cantu player this season to earn MVP honors after Pietro Aradori did the same on opening week. 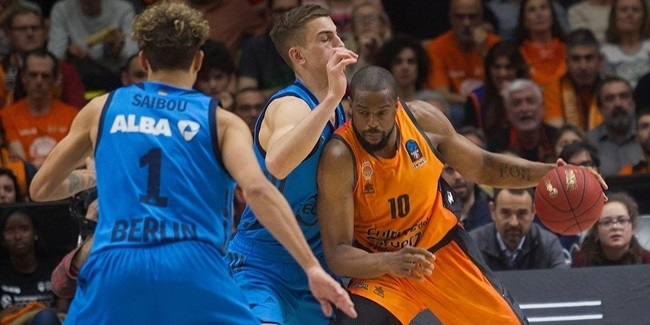 Two players in winning teams followed Ragland in this week's MVP ranking with respective 30 index ratings, Valencia Basket's Justin Doellman and Radnicki Kragujevac's Mouphtaou Yarou. The highest overall index rating of the week was the 38 by Vladimir Golubovic of Aykon TED Ankara Kolejliler, but he was not eligible for the award due to his team's loss. 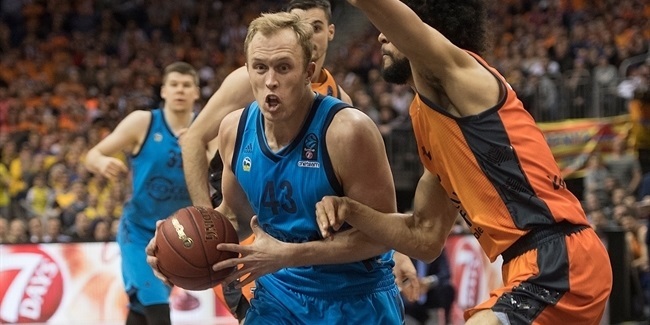 Three players led the scoring rankings this week with 26 points apiece - Nizhny Novgorod's Primoz Brezec, Valencia Basket's Doellman and TED Ankara's Golubovic. As for rebounds, Yarou was a force under the glass once more with his 13 rebounds, 7 of them offensive. Another player from Radnicki, Stefan Jovic, led all passers this week as he was the only one in double figures reaching the 10 assists. Ryan Brooks of Telekom Baskets Bonn excelled on the defensive end this week with his 5 steals, and then Jeleel Akindele of Buducnost Voli Podgorica did the same also on the defensive end as he managed to stop up to 5 shots on his own. 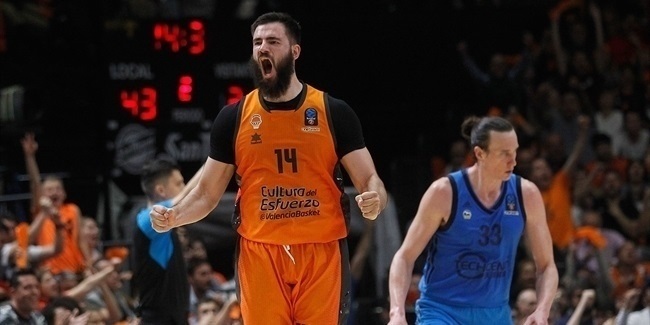 On Monday night, Bojan Dubljevic added to his legacy as one of the greatest players in 7DAYS EuroCup history by leading Valencia Basket to the 2019 crown.